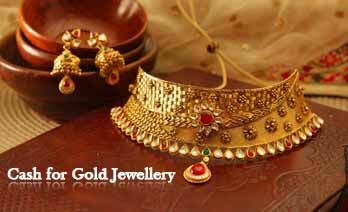 If you are looking for selling your gold jewelry for cash then you are at the right place with the right jewelry buyers. We at cash for the gold offer to buy jewelry of any type for instant cash. Our bid has always been in the top notch and appreciated by our valuable customers. Out in the market, the price for these precious metals depends on the demands based on the public. Once the market is safe, anyone can establish a good investment. Also, many only look for an immediate resource to help their financial needs. Most of them have different reasons to sell their valuable assets but overall, all wishes for the same result. In your bad situation, they are many buyers who would offer price, which doesn’t match the value of their items and also doesn’t match with their financial needs. Currently, everyone has the knowledge to educate themselves before they come into selling. When the price is high, people expect to get the benefit of earning a profit a little. Therefore, be prepared with our guide to getting the highest payment for your valuables. We at Cash for gold is one of the best and qualified teams of second-hand jewelry buyers in the market. We offer price based on the current market price with the full consent of the customer. We strive to offer full support and satisfaction during the time of financial help. Therefore, we are able to give you the benefit to earn the profit you are looking from your old jewelry. Our expensive variety of services only aims to provide the best possible value in the market. To check the current price for gold, and silver, visit us at our websites. Moreover, know more about the market and also enjoy earning the extra income just by sitting at home as we provide online service with a free home pickup in any location with a range of 45 KMs. Do not get disheartened, we currently are stabled in more than 20 neighborhoods of Delhi NCR. So, we can provide you the service in any preferred location in the heart of India.